We are all (for the most part) born with an innate ability to regulate our food intake. As babies we instinctly knew what, when, and how much food we needed for our body to be healthy and grow. However, for some of us our ability to continue through life as intuitive eaters gets lost over time as we experience things such as difficulty coping with emotions, fad diets or something seemingly so insignificant as being told to “finish our plate”. Make peace with food – Improving your relationship with both food and yourself is a large part of becoming an intuitive eater. Giving yourself unconditional permission to eat the foods that you enjoy while avoiding telling yourself that you can’t or shouldn’t have a particular food is key. 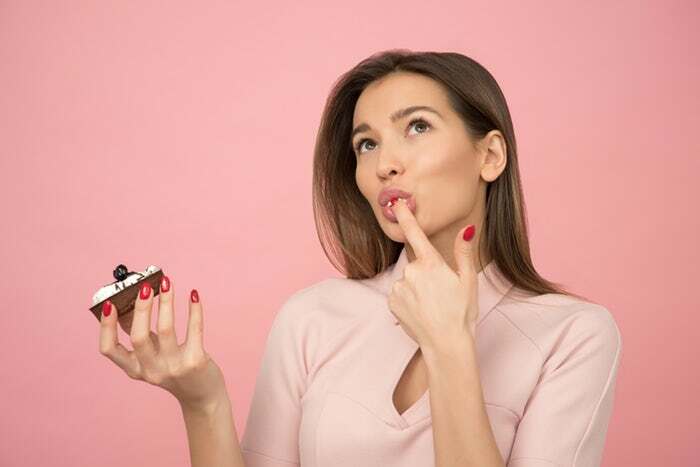 This “good” versus “bad” or black and white thinking can lead to intense feelings of deprivation that may build into uncontrollable cravings and, sometimes, bingeing once you finally “give-in” to your forbidden food. This mindset can create a cycle known as the “eat—>repent—>restrict—>repeat” cycle often rooted in feelings of shame and guilt. Hunger: identify, assess and honor – It sounds simple enough, but you wouldn’t believe how many clients I’ve met with that have lost the ability to listen to and identify their internal hunger cues after years of following external cues also known as “diet rules”. After you’ve determined what hunger feels like for you (i.e – stomach growl, feeling tired) , next you want to practice differentiating between physical hunger and emotional hunger (cravings). I often recommend that my clients drink a glass of water (since thirst can often be confused with hunger). If you are still hungry, ask yourself if you are willing to eat a balanced meal filled with lean protein, complex carbohydrates and fresh vegetables. If the answer is yes, you’re likely hungry. This exercise can help you differentiate physical hunger from emotional cravings. Next, thinking about what you want to eat (see below…cravings). Last, but not least – if you are truly hungry… then eat. Simple as that! Cravings… listen to these too! – Most of my clients are shocked at first when I suggest they not only honor their hunger, but their cravings too. Listening to what your body wants is an important principle of eating intuitively. Seek satisfaction – After each bite, tune in to how you feel and make sure to practice mindfulness. Ask yourself whether you are still hungry, full or satisfied? The goal is to stop eating once you a comfortably satisfied, but not overly full or stuffed. It is important to note that practicing Intuitive Eating can and will feel different for everyone. There is no wrong or right way to go about this since it is primarily rooted in the process of you becoming the expert in YOUR own body to support both your physical *and* mental health. Please see below for additional Intuive Eating resources and to learn more about all 10 Principles of Intuitive Eating. Interested in learning more about working with me for 1:1 nutrition and health coaching to help you utilize the principles of Intuitive Eating in your own life? Sign up for your free 15-minute phone consultation here! Tribole E and Resch (2013). Intuitive Eating, 3rd ed. St. Martin’s Press: NY, NY. Tribole E and Resch (2017). Intuitive Eating Workbook: 10 Principles for Nourishing a Healthy Relationship with Food. New Harbinger: Oakland, CA.